Over the past year, we’ve gotten a lot of questions about the Europass based on our past European tour. Here’s a list of the most common questions we’ve received. Is the Eurail pass worth the money? How does the train pass work? Would you recommend buying the train pass? How do you buy the Eurail pass? What alternatives are there to European travel? The concept with the Eurail pass is that you pay a flat fee upfront for use on a country’s rail network, for an agreed number of days. You may find that getting the best value out of the rail pass is difficult since the system can be confusing. There are a few situations in which you can incur fees in addition to the cost of the rail pass, so understanding the ins and outs can help you make the best decisions to minimize your travel costs. During our first year of travel I wasn’t sure if the Eurail pass was worth the hassle. 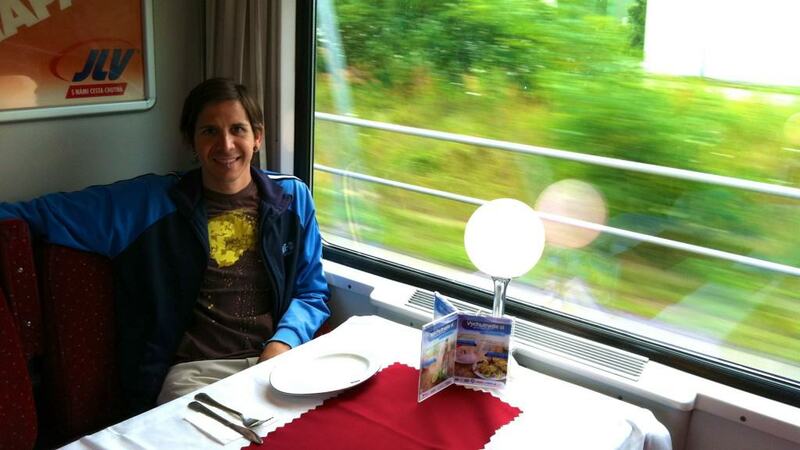 We loved traveling by train in Europe, but it is not always the cheapest mode of travel. But as we’ve traveled more, I’ve realized the value of the Eurail pass is primarily the experience, followed by the cost savings. We bought the most comprehensive pass which was called the Eurail Global Flexi Pass. The pass allowed us 15 travel days within a 2 month period of time, in 23 countries in the Europe. To be clear, this pass did save us a lot of money over purchasing individual train tickets, but there were probably cheaper alternatives. Traveling by train is our favorite mode of transportation. The seats give you plenty of space to stretch out and you can walk around the train cars while in route. Most trains are equipped with a restaurant car (and bar!) 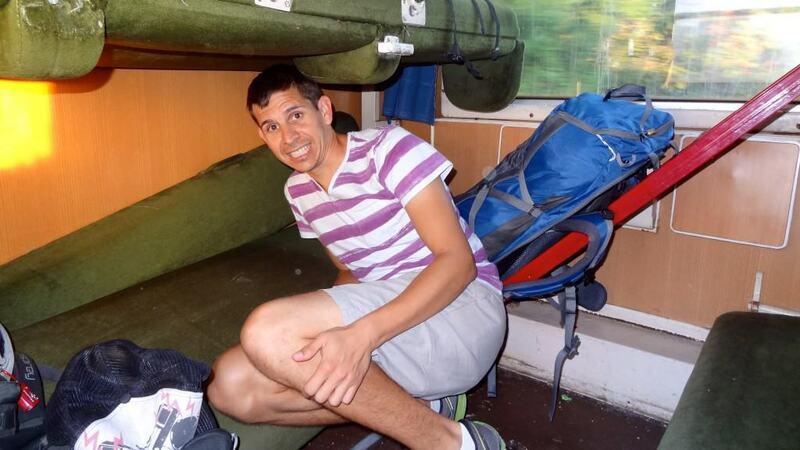 and overnight trains are a reasonably comfortable way of traveling at night if you pay the extra fee for a bed. I prefer trains over planes any day. They are more convenient and the check-in process is painless. Trains depart and arrive in the center of the city and you don’t need to arrive two hours in advance at the train station like you would at an airport. If used correctly, the Eurail pass will save you money compared to buying full-price train tickets at the last minute. The Eurail pass may end up being more expensive than traveling by bus or plane. Bus tickets are almost always cheaper but they are certainly less comfortable and slower. Europe has a very competitive budget airline market so finding flights for $50 or less is certainly possible. Some trains require you to make a seat reservation so it’s not always as simple as arriving at the station and jumping on the next train. The train individual train companies also lead you to believe that travel is seamless but every country actually has different rules and they don’t always work well together. Consider all modes of transportation if you want to find the cheapest travel option. For example, if you want to travel from Madrid to Barcelona, search the prices of trains, buses, planes and rental cars. If you are traveling with a group then renting a car and driving may actually be cheaper since you can split the cost. In this case, Renfe.com will give us ticket prices for trains in Spain. You can search bus prices on Eurolines.com which is a major bus network in Europe. Each country also has individual train and bus companies and you can search prices online for most. Websites like Kayak.com will give you prices for budget airlines. This approach of price comparison takes a lot longer than just buying a rail pass but it’s the best approach if you want the cheapest price. If you want a lower stress mode of travel and you don’t have hours to price compare then go for the Railpass. If you do decide to buy the Europass, here are a few things to keep in mind the make the most out of your pass. Many high speed or popular routes require seat reservations and charge a fee. It’s usually less than $10 but can be as much as $20-$30 in some cases. If you’re willing to travel on slower trains or routes with more transfers, you can often travel without paying any fees for seat reservations. You can purchase the pass through either Eurail or RailEurope. If you purchased your Eurail pass through Rail Europe, don’t use their website to reserve seats. It’s more convenient but is usually more expensive than reserving at the train station in person. If you want make reservations in advance, try booking a reservation through the countries’ individual rail website. Not all websites allow this but some do, including the German website Bahn.com. 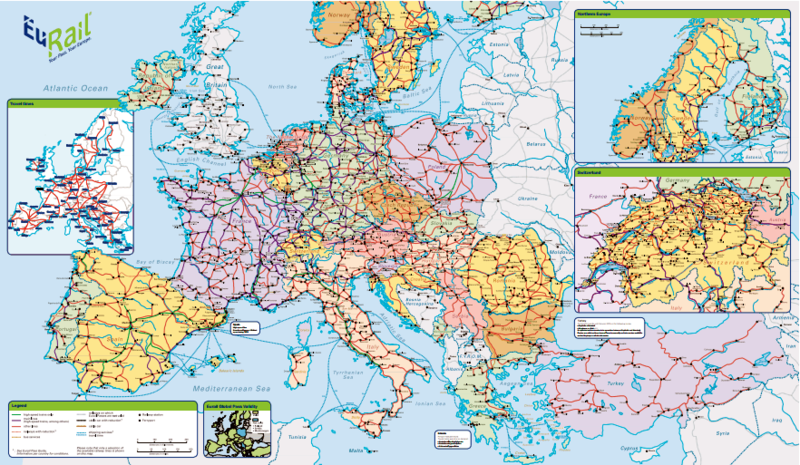 Use the Eurail Map to help plan your train journey by knowing common hub cities. The Austrian OBB website is also a good train journey planner sight since it includes routes throughout Europe. Check the price of a standard ticket on the individual rail company’s website. In some cases, it is cheaper to just buy the ticket outright then to use your rail pass. For example, you can purchase a ticket in Spain on a four hour train that only costs $20. The average value of each ticket on our Global Pass was roughly $65 so using the pass for this short route isn’t a good value. Make use of night trains that depart after 7pm. This overnight train journey saves a night of paid accommodations and the travel time feels short because you sleep through most of the trip. With a Flexi Pass (as opposed to an unlimited pass), this night travel also counts as only one travel day instead of two, as long as the train arrives after 4am the next day. Check out The Man in Seat 61 for more advice. His blog is dedicated to train travel and he has a great section on using the Europass for train travel in Europe. If you want a fun, scenic and comfortable mode of transport and are willing to spend a bit more money to avoid researching prices on every trip, then buy the pass and don’t feel bad about it. If you are primarily worried about finding the cheapest mode then don’t buy the pass. Rather, search for the cheapest route from one city to another whether it’s by train, plane, bus or rental car. This also allows you the opportunity to be more flexible in case you want to change your plans last minute during your actual travels or even more spontaneous if you plan your travels based on the cheapest destinations. But do remember that the cheaper option often takes a lot more time and effort to plan. We’d love to hear your opinion. Do you have any advice or tips on train travel in Europe using a rail pass or otherwise? Great tips! I’ve always said the pass isn’t worth it. Very useful post. Thanks, we wish it had been worth it Talon. But it was more of a headache than a money saver. Won’t be buying it again any time soon. I think one’s travel style also factors in. People “doing Europe” are either wide-and-shallow or narrow-and-deep when it comes to coverage, and I fall on the second category. Hence, I just concentrate on one or two countries at most, and visit more cities within them, not just the headlines. That means that my train distances would be shorter, making the Rail Pass not so much of a bargain. Yes, great point Jeruen. Last summer, our travels through Europe were very wide and shallow. This year, they’re very narrow and deep. However, either way, I would not necessarily recommend the Eurail pass. I think it’s still a specific niche of travelers within the “wide and shallow” style that could benefit from the pass. Great post guys. I look forward to reading your post on how you managed to get RTW tickets for less than $300! Please share this information! As an EU resident, I have only been able to buy Interrail passes which are not valid in the country where you are resident, unfortunately, but otherwise work the same as Eurail passes (with some minor differences). I found that the price I got for them when I was under 25 was actually worth it for a multi-leg trip, but once I passed that age, it became more convenient to buy point-to-point tickets. Thanks for sharing Sam. That’s a good point that you have to consider your age and residency as well when purchasing the pass. You guys have an incredible site, with lots of useful information. I am impressed. 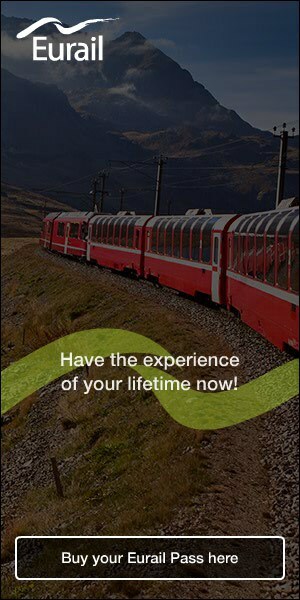 I responded to your post on tumbler about liking the Eurorail pass. I traveled over ten years ago and it was a better value. It seems to still be a good value, depending on where and how you are traveling. I did not mention the trains in Italy. The may have improved since then. I absolutely loved Italy and the people, but the trains were often overcrowded and not it the best condition. One time we even had to ride in the baggage car. Reservations would have solved that. One question. 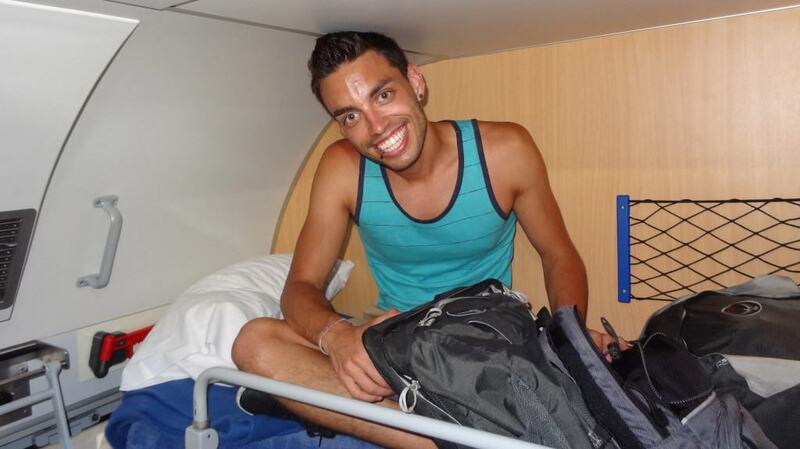 Are you guys having much problem traveling as gay men, or are you keeping it on the down low? Hi Joseph. Thanks for the message and comments. We love train travel and would almost always choose it first when possible. As for being gay, we don’t have any problems and we DO NOT keep it on the down low. We are out and proud, though obviously smart when we need to be in non gay friendly countries. Most of our travel these days are in westernized or developed countries so there’s usually not an issue.